Tibhar is an established name in the field of table tennis around the globe. It was found in 1969 by Tibor Harangozo (Tibhar); the firm post Tiborâ€™s death has done extremely well & has become a synonymous name to superior quality products. 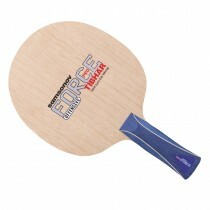 They produce all accessories & gear for table tennis & have millions of fans around the world.